Regulation 1984 discussed here does not refer to George Orwell’s 1949 novel, but to a Chinese law that took effect in 1984. The full name of the law is “Provisional Regulations regarding the use of corpses and organs from executed inmates by the Supreme People’s Court, Supreme People’s Procuratorate, Ministry of Public Security, Ministry of Justice, Ministry of Health, and the Ministry of Civil Affairs.” If this regulation triggers the same horror as Orwell’s novel, it is purely by coincidence. Before 2012, the fact that organs for transplant operations in China came from executed inmates was only whispered about. But recently, after the execution of Chinese street vendor Xia Junfeng, there has been much speculation by microblog users as to whether his organs were stolen. Chinese news reports confirmed that such assumptions are plausible. I searched online and found that both Beijing News and Hong Kong’s Apple Daily reported this. Netizens’ speculations are not far-fetched; only when being executed on a surgery table–in other words, being killed by extracting organs–is there no need for clothes. Many Chinese people are furious when they find out that prisoners in China have to make their final economic contribution to China’s legislative special interest group. I feel sorrowful and helpless. Many years ago, I knew there existed a regulation legalizing the use of organs from executed prisoners for research purposes. That document—Regulation 1984—was top secret, and I have seen it. About two years ago, I bumped into the document online. The full name is “Provisional Regulations regarding the use of corpses and organs from executed inmates by the Supreme People’s Court, Supreme People’s Procuratorate, Ministry of Public Security, Ministry of Justice, Ministry of Health, and the Ministry of Civil Affairs.” It was issued on Oct. 9, 1984 and has been in effect ever since. A regulation has been effective in China for almost 30 years, but citizens don’t know about it due to the regime’s ability to keep secrets. Regulation 1984 specifies two principles. One of the principles states that the execution must be carried out by firing squad, following the relevant provisions in the Criminal Code, and organs are to be removed after the execution. However, the practice of live organ harvesting in China that began later, and which has triggered strong condemnation from the international community, has prompted questions whether China’s use of organs from executed prisoners is in compliance with international ethical standards. In July 2006, former Canadian Secretary of State for Asia-Pacific David Kilgour and human rights lawyer David Matas released their independent investigation report Bloody Harvest: Allegations of Organ Harvesting of Falun Gong Practitioners in China. The report presents many elements of proof that point to large-scale, forced, live organ harvesting in China and calls it “an unprecedented evil on this planet.” Over the years, more evidence has been collected and added to this report, which is now in its third edition. It has drawn strong concern from the international community. In November 2005, Caijing Magazine published the article “Accelerating the Regulation of Organ Transplants.” The article lifted the heavy black curtain over this restricted media area. It seized the opportunity when Huang Jiefu, China’s Vice Minister of Health at the time, publicly admitted at the World Health Organization meeting in Manila that the donors for organ transplants in China are mainly executed prisoners. 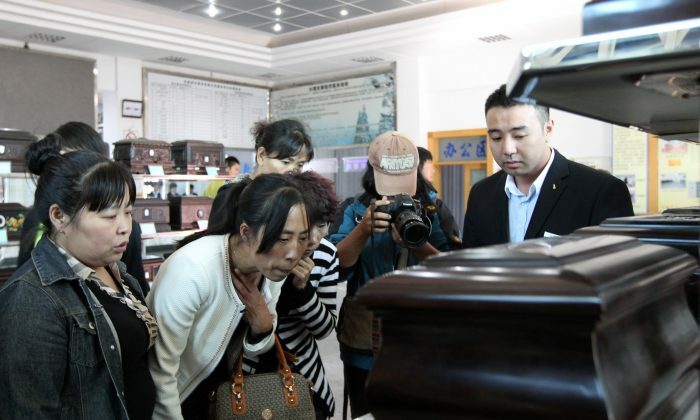 Caijing also quoted Dr. Chen Zhonghua, the Deputy Committee Director of the Chinese Medical Association’s Organ Transplant Division, as saying that from 2003 to May 2009, only 130 Chinese citizens in mainland China donated their organs after death. The annual list of 1.5 million Chinese patients waiting for organ transplants gave birth to a bloody line of industry trafficking in human organs. Since then, Chinese media has occasionally reported on the human organ trade. But organ harvesting of executed prisoners has always remained a restricted topic, until March 2013, when Huang Jiefu at the National People’s Congress again proposed to regulate organ transplantation in China as quickly as possible. The second principle stated in Regulation 1984 is voluntariness. This regulation clearly stipulates that organ transplants can only occur in the following situations: bodies not claimed or refused by their families; executed prisoners who donate their bodies for use by medical units; bodies used with permission from relatives. However judging from reality, this is basically empty talk. Sohu Watch pointed out that it has long been a hidden rule within China’s judicial departments to abuse the voluntary donation principle to remove organs from young and healthy executed prisoners. In recent years, many families have only received a box of ashes, but have never seen the remains of their executed loved ones. Criminal law professor Qu Xinjiu from China University of Political Science and Law has said: “There is an insurmountable conflict between the status of a condemned prisoner and his or her freedom to make a decision. Even if a disadvantaged condemned prisoner expressed willingness to donate his organs, it may not be his true wish. Even if the regulatory authorities and the judiciary did not engage in any persuasion, inducement, or coercion, the convict’s legal status makes it impossible to determine whether his intention to donate his organ is true and voluntary.” Therefore, the voluntariness principle in Regulation 1984 is completely unreliable. The use of executed prisoners’ organs for organ transplantation is only part of the problem regarding the dignity of China’s condemned prisoners. Some people may think that in a country that cannot even maintain the dignity for the living, it is a luxury to discuss the dignity of executed prisoners. However, when we think about the lack of political security and social security in China, and about what happened to Zeng Chengjie and Xia Junfeng, caring about the dignity of condemned prisoners’ deaths is actually closely related to every living person. He Qinglian is a prominent Chinese author and economist. 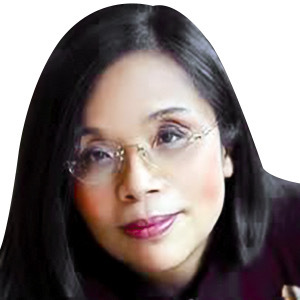 Currently based in the United States, she authored “China’s Pitfalls,” which concerns corruption in China’s economic reform of the 1990s, and “The Fog of Censorship: Media Control in China,” which addresses the manipulation and restriction of the press. A prominent Chinese transplant official admitted recently that the authorities have for years used the organs of executed prisoners for transplant without gaining their consent.